More than 4 million people have registered their mobile number to receive payments via Paym. The service is available on more than nine out of 10 current accounts, with over £800m sent since the service launched in April 2014. What are the benefits of Paym? How do I send payments using Paym? You can send a payment using the banking app or online banking of any participating bank or building society. Just log in as usual, select a contact or enter a recipient’s mobile number and press send*. The exact way this process works depends on your banking app – click your bank or building society’s logo on this page for more detailed instructions. Each time you send money through Paym, you are asked to verify the name of the recipient, so you can check you’re sending money to the right person. Once you’re happy, press send and you’ll receive confirmation straight away that your payment has been sent. What if the person I select is not registered to receive Paym payments? The person you are sending your Paym payment to will need to be registered for the service with their bank or building society. If they’re not registered we’ll send them a text with details of how to sign up for Paym.You will need to find another way to pay them until they sign up. More information about the text message we send them can be found here. How do I receive payments using Paym? Before you can receive payments through Paym, you need to register your mobile number with your bank or building society and nominate the account you want to link it to. Your friends will then be able to pay directly into your account using just your mobile number. Payments can take up to 2 hours but most are received within seconds. 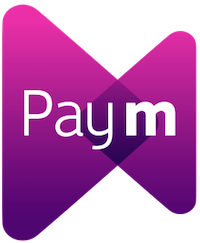 Paym is completely free to use. You can check your bank or building society’s terms and conditions by contacting them directly. You can send up to £250 a day, although you may be offered a higher daily limit by your bank or building society. Certain restrictions may also apply if you’re under 18. Your bank or building society will be able to provide further details. Can I use Paym if I don’t have a smartphone? You don’t need a smartphone to receive payments but you will still need to register your mobile number. Some banks or building societies may also offer the option to send payments without a smartphone. To find out, check with your bank or building society. What happens if I accidentally send a payment to the wrong mobile number? Every time you send money using Paym, you are required to verify the name of the recipient before confirming the payment, so you can check you’re sending money to the right place. However if you do accidentally send money to the wrong person, your bank or building society will be able to advise you how they can help to try and recover the payment. It isn’t possible to send a payment using Paym without your online banking app’s password or security code, but you should still contact your bank or building society immediately to report a lost or stolen phone. Your bank or building society will be able to suspend the service and reset your security settings. You get the same legal protection with Paym that is already applied to your other current account, online and mobile payment services. You have protection against unauthorised transactions providing you don’t act fraudulently or without reasonable care. Can I use Paym to accept payments into my business account? Click here to find out more about Paym for businesses. Can I use Paym to send money abroad? Paym can only be used to pay money into UK current accounts. If you need to send money abroad, speak to your bank or building society about an alternative method. What if I have switched accounts using the Current Account Switch Service? If you change your bank account using the Current Account Switch Service (CASS), it is the responsibility of your old bank to de-register you from Paym on your old account as part of the switching process. Once the switching process has been completed, you can contact your new bank to re-register your mobile number for Paym on the new account. If you have any problems as part of your switch (whether to do with Paym, or anything else), your new bank are required to help you under the terms of the Current Account Switch Guarantee. Get more information from currentaccountswitch.co.uk. Can I register with more than one of the participating banks or building societies? You can only link one current account to your mobile number in order to receive payments. However you can send money from any of your current accounts, providing they’re with one of the participating banks or building societies. Can more than one mobile number be registered to a joint account? Yes, you can register more than one mobile number to a joint account. Contact your bank or building society for further details. Why does my banking app say that I’m already registered? 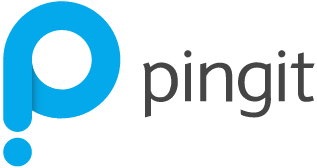 If you have switched bank accounts or previously had a Barclays Pingit account you may already be registered for Paym with a different bank. Please contact this previous bank so that they can de-register your number. You can then register with your new bank. How do I change my Paym registration from one provider to another? You can change which account your mobile number is registered to at any time. If your mobile number is already registered for Paym with another participating bank or building society, you should contact them first to de-register. If you are unsure which organisation your mobile number is registered with, contact the bank or building society you want to change to and they will be able to help you. How do I de-register from the service? You can de-register from the service at any time by contacting the provider you registered with. To change your registration from one provider to another, you need to de-register from the bank or building society you have signed up with and then re-register with the bank or building society you would like to move to. I have received a text. If I register, will I receive the payment? No, although if you register your mobile number for Paym with your bank or building society you will receive any future payments. It is not possible to send a payment to a mobile number that has not been registered for Paym, so no money will have left the sender’s account. The sender will need to find an alternative way to make the payment. Information on how to register can be found here. Why have you sent me a text message? Someone tried to send you money via Paym using your mobile phone number. We are sending text messages to alert people so that they can register for the service with their bank or building society and receive payments via Paym in future. How can I be sure the text message you sent me is real? Paym will NEVER ask you to send any personal information via text message and neither will your bank. Paym will also NEVER send any messages that contain a direct link to a website. You should be wary of scams involving fraudsters sending emails and/ or text messages (also known as SMS) at random, claiming to come from a reputable organisation, such as your bank, mobile phone company or Paym. This type of fraud is known as ‘phishing’ (for emails) or ‘smishing’ (for text messages). If you think you may have followed a link in an email/ text message and visited a phishing site and provided your bank account details, contact your bank immediately. If you have received a text message, it means that someone used Paym to try and pay you using your mobile number. No record of your phone number is held by Paym unless you choose to register. How do I know who tried to pay me? This information is not tracked, however if you register for Paym you will receive payment if the person tries again. I’m not interested in Paym. Can I opt out from receiving texts? Yes – simply reply to the text message to 61111 with the word ‘STOP’ to opt out from receiving them. Normal text message charges apply. What if I’m with a bank that doesn’t offer Paym? You can now register for Paym with 15 banks and building societies, covering more than 95% of current accounts. If you are with a bank that doesn’t offer Paym, you can opt out from receiving texts by replying ‘STOP’ to 61111. Paym is in talks with more banks and building societies to join the service, but you could also consider using the simple, quick and hassle-free Current Account Switch Service to move to a bank or building society that does offer Paym. Which banks or building societies allow you to link your business account to Paym? You can link your business account with Barclays, HSBC and Santander. How long does it take to receive a Paym payment once it has been sent? The payment can take up to 2 hours although most are received within seconds. For some accounts this could take longer than two hours so you should check with your bank or building society. Can I register more than one mobile number? You can register multiple mobile numbers to one account. The exact number of phones per account is set by the participating bank or building society. Please note that each mobile number can only be registered once. How much can customers send me using Paym? Sending limits for your individual customers, in terms of amount and volume, will be determined by their bank or building society. Apart from some specific cases, such as accounts for younger people, customers are able to pay at least £250 per day. There are no daily limits on how many payments you can receive, or on their total value. Can I integrate Paym into my existing Business Payments process? Paym does not offer Application Programme Interface (API) support for integration into third party payment processes.